One week from today, we will see arguably the best match-up of the year, which is saying something considering how 2017 has already been a truly excellent one for boxing. It’s a huge showdown that everyone in the fight game has been waiting for, a clash for the undisputed middleweight crown: Gennady Golovkin vs Saul “Canelo” Alvarez. I don’t believe Canelo has the mobility or stamina to box “GGG” effectively off the back foot, and I’d be surprised if he is strong or powerful enough moving forward to consistently back up Golovkin. So, for my money, Canelo’s best chance of winning lies in controlling the pocket and counter-punching. It’s there where he can make his speed and precision count the most. 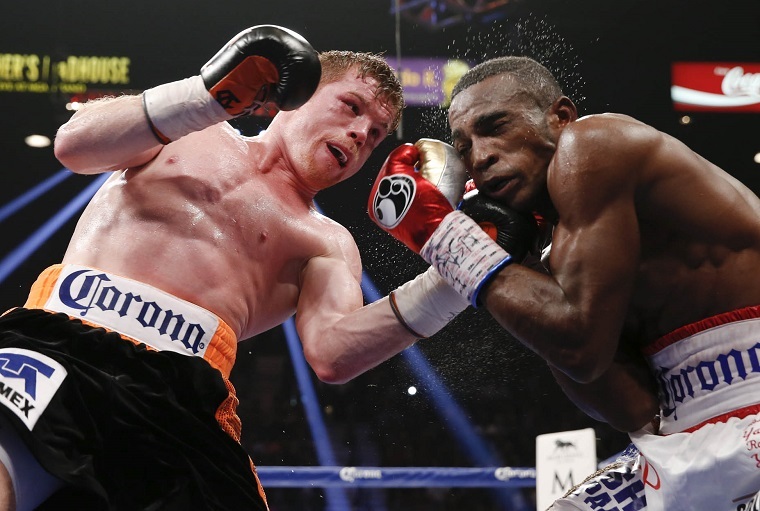 In the pocket: Canelo might be most effective at close range. Golovkin might be the harder puncher, but Canelo is sharper, more accurate, and better defensively. Also, along with his blocking skills and evasive movement from the waist, Canelo’s underrated, more compact footwork (consisting of pivots and half-steps back) lends itself to creating and exploiting openings in the pocket. Considering this, I can see Canelo having success by catching, riding, or weaving under Golovkin’s punches and then countering hard to the body (think Roberto Duran against Davey Moore), and also via well-timed uppercuts up the middle as “GGG” is leaning in or overextending. Golovkin’s jab could create serious problems for Alvarez. The Mexican is a more complete boxer inside the pocket, but Golovkin is so damn strong and powerful, and his jab heavy and long, that it’s going to be difficult for Canelo to set himself and not give ground. Alvarez is masterful at parrying or slipping jabs and then countering, but “GGG” throws his jab offbeat, and with very little telegraphic motion. Put simply, it’s difficult to time. Golovkin’s pace and pressure could also prove problematic for Canelo, who can’t fight hard and fast every round. This is mainly why Canelo goes to the ropes so often: to preserve energy. Needless to say, Canelo would be playing a very dangerous game laying on the ropes against a puncher like “GGG,” whose unpredictable, two-fisted attacks — specifically those long, palm-down looping hooks — tend to bypass even the tightest of guards. Canelo can take a punch, but you can only take so many from the powerful Kazakh. And that includes punches caught on the arms and shoulders, which wear you down gradually. Will Golovkin just be too strong and relentless for Canelo? Styles, as they say, make fights. And this style clash probably favors Canelo who is likely the better technician and may even have the edge in ring IQ. But, more importantly, Alvarez is not a full-fledged middleweight like “GGG.” Make no mistake, Canelo might be more muscular and heavier on the night, but Golovkin will be physically stronger, perhaps significantly so, and I believe this will ultimately prove the decisive factor. For me, it was telling that Canelo couldn’t finish a clearly depleted Chavez Jr. Granted, Golovkin will open up and take more chances than Jr. did, but I still can’t envision Canelo punching with enough authority or frequency to prevent the ultra-strong and durable Golovkin from applying pressure and outworking him. 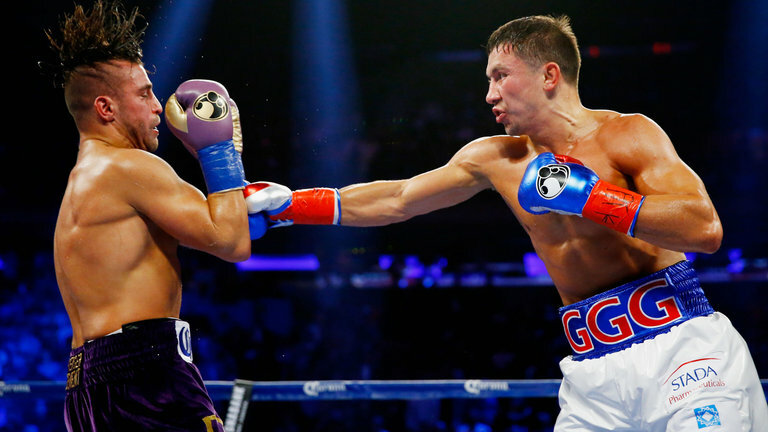 Golovkin will need to dominate just to get a close decision on the scorecards. Canelo’s flashier combination punching coupled with his ability to ride, bob and weave, slip and counter, will win him all close rounds on the scorecards. Ward held just enough of an edge to win the decision against Kovalev. Canelo has the sway of the judges in this. Even if GGG scores a flash knockdown, Canelo wins a similar decision, 114-113 just for going the distance. I think he’ll throw enough and land a high enough percentage that it won’t be terribly disputed either. Sadly, there are no impartial judges in boxing. I think Golovkin knows that and knows he has to brutalize Canelo. Wylie has a great understanding of the sport — one of the best in the business. Enjoyed reading this. I can’t help but wonder why people think GGG’s defense is suspect–I feel they’ve never seen him really box. He does things more subtle being flat-footed. Canelo is getting more benefit of the doubt with his improving defense (which it is) but it is too reliant on his upper body. 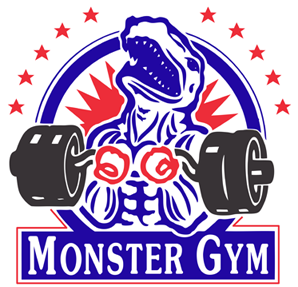 I think body work will determine the winner and I think GGG’s body work will be devastating to Canelo’s stamina issues and that will lead to a late TKO. Finally, quick thought. In the video, I see Canelo winding up a lot of his hooks to the body. He needs to tighten that up if he doesn’t want to give GGG any openings. Good analysis. I think many in the media are giving Canelo a shot because they know he is the golden boy’s golden boy. They know if it is at all close in any round Canelo will get it. No one wants to be wrong, so they straddle the line down the middle, favoring GGG but saying Canelo can pull it off. Lee talked little of the fact that Canelo so called improvements came against: Kirkland, aging Cotto, Khan (a glass jawed 140), a domestic level Smith, and a zombie Chavez. While GGG so called tough moments came against an undefeated WW who came in well above 160 while fight at WW and has fought as high as 155. Khan doesn’t even want Brook now and he has had two face injuries. The way Smith was able to back Canelo up and pin him and land for 9 rounds, if that Canelo shows up to fight GGG, brutal. GGG is just too big. Canelo is a small, thick middleweight and isn’t as skillful as Duran to climb the weight divisions. Lampley even said he wouldn’t be surprised to see it end in 2 or 3 rounds for GGG. 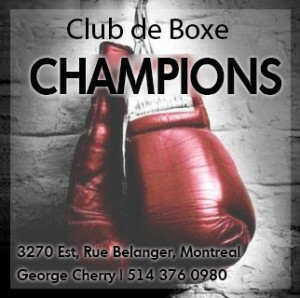 GGG in a way is a paper MW champ – clearly no one at that weight, not even the Charlo’s can challenge him. He needs to move up and fight guys who’s weight can neutralize some of his strength. This fight is academic. GGG wins a fight he should and finally receives credit for beating, as someone reminded me FINALLY ONE quality opponent. It doesn’t make him Monzon or Hagler. I notice it too, but I think it has more to do with the fact they know Canelo can win by robbery and no one wants to be wrong. It is easier to pick Canelo as a possibility knowing he is tough to beat on Card. I mean Floyd dominated him and still came on short on one card and close on another, and Floyd is a star. If GGG blows Canelo out they can easily just say he performed above and Canelo did not show up. But basing this on who they’ve fought in their last five, I cannot imagine Canelo in with Murray, Monroe (who his own team ducked after saying they would fight the winner of the Rosado v Monroe fight), Brook (not when Brook was not injured) and Jesus, Canelo and Jacobs. Canelo fight a big guys like Jacobs without compromising him, no way. HOWEVER, why should GGG move up to fight guys that are bigger than him? He is not a big MW? He should fight at whatever weight he is comfortable at. Educated boxing fans are balancing out all the hype and showstoping performances by GGG against the reality of those opponents. Monroe, Rosadao, Macklin, Geal, Stevens, Murray. Regardless of weather or not his conquest was honorable and he took on all comers & mandatories, those are all showcase opponents for someone with Gennady’s skillset and boxing prowess. They are all clear second tier talents who attempt to do much of what Golovkin does, but lack both the boxing skills and power (by a long shot) that he possesses. Credit GGG for being the consummate professional and handling his business in all those fights, but they aren’t all that telling how he fares against a top level guy. Lemieux was a slight step up in competition, a good fighter in his prime, but still predictable enough for someone as dependable as GGG to make easy work of. Brook looked like a true 154 pound guy who was biting off more than he could chew and something looked of with Gennady in that fight. 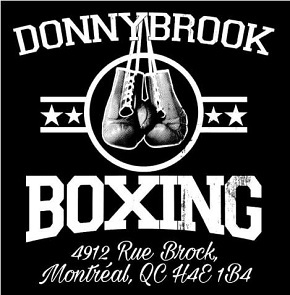 The fact was, Brook, a higher level boxer, had some obvious success. Jacobs was bigger, longer and able to showcase his substantial power. A clear win for GGG but a close fight and no knockout. Its fair for everyone, even GGG fans, to question the outcome in this fight. Canelo on the other hand lost to Lara (IMO) & I had him 115-113 over Cotto who I think demonstrated a very effective jab and respectable ring control for most of the 12 rounds. I think he edged out Trout as well. He does get credit as people have mentioned, for improvement since. Opposed to Brook looking like a 154lb, Khan looks more a 140lb to me, completely bloated and would be overmatched at 155 by almost anyone. That was a pure money grab for all concerned. There is a point, its hard to make clear determinations based on the history of these fighters. There is so much subjectivity involved. 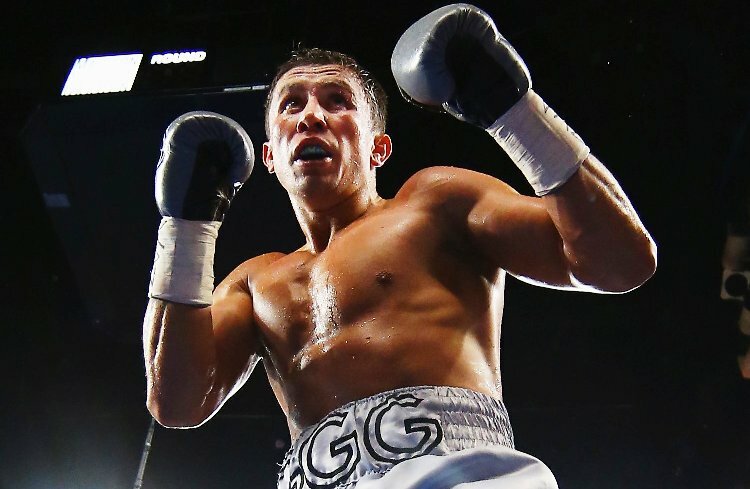 There just isn’t enough evidence in GGG history for many to say definitively that finishing an opponent who is an equal, at least in terms of conviction & boxing stature is a forgone conclusion as it was in each and every other fight since he started pounding his way into our consciousness. Thats why even GGG fans are giving Canelo a reasonable chance. They know a full 12 rounds tilts the scales in his favor. Another excellent video by Lee Wylie. Really enjoyed this one. 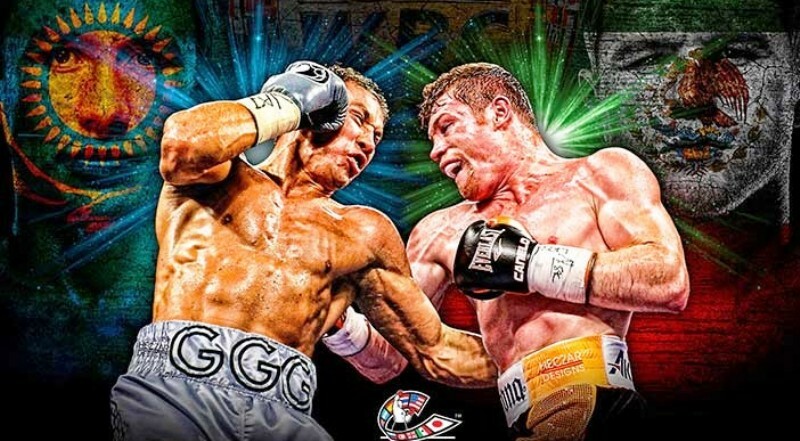 I’m favouring GGG in this fight, the 1st true Middleweight Canelo is facing I feel he will be too powerful for the Mexican whos never faced a puncher as powerful as Golovkin. 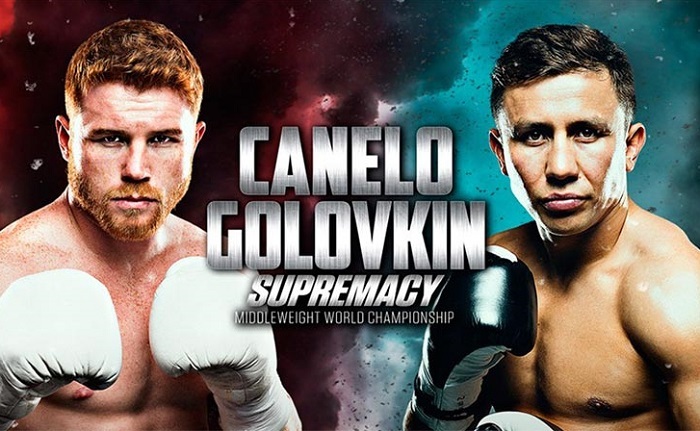 Canelo might have the more eye catching talent but power is the great equaliser, GGG has never been downed or knocked out and is a knockout specialist, fighting a naturally smaller man it is going to be really big ask of Canelo to pull this one off imo but its going to be a great fight between two of the best boxers in the world. If this indeed goes to the bell, I do not think Golovkin can win unless he dominates and clearly leaves no doubt. The refs are conditioned to give it to canelo, the fans will cheer him, and they will not get to much slack from the powers that be if they give what should be a two round win for GGG to Canelo. I think GGG, Sanchez, and Loefller know this and they are gonna go for broke and try to break Canelo to the point any chance of him winning would utterly destroy all credibility for Nevada. Also, I would not be at all shocked if Golovkin has baited Canelo somewhat, and is gonna make the Brook and Jacobs fights look like ploys to get Canelo into the ring. Canelo has already negated some of his own speed putting on weight and when I see him hitting the bag recently he looked slow and looked like there was little pop unless he reaches back. Do not be shocked if GGG put a stamp on 160 and beats Canelo so bad that the calls for him to move up are instant.